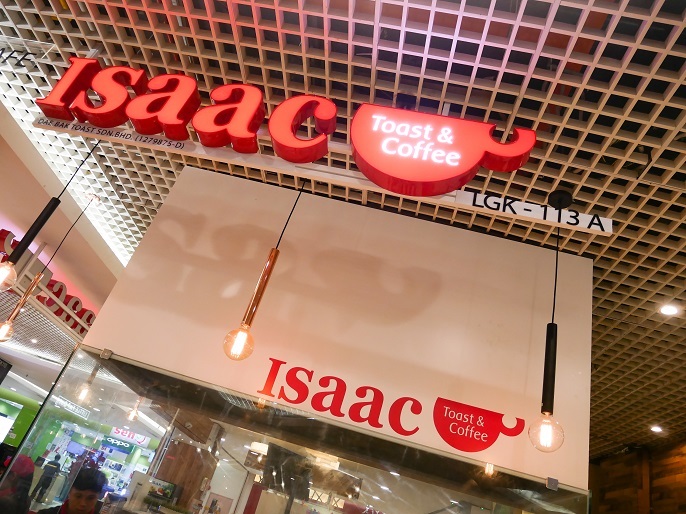 The first time I heard about Isaac Toast & Coffee was from a friend of mine, who just traveled back from Seoul at that time. Apart from the shopping spree she talked a lot about, she also highlighted about a famous toast she ate in Korea. The way she described the toast was very unrealistic because to be honest I don't really like to eat bread. Anyway, towards the end of our conversation back then, she reminded me again and again to try the Isaac Toast whenever I have the chance. Well, for a person that never fancy about toast or bread, I really could not imagine how delicious it can be. 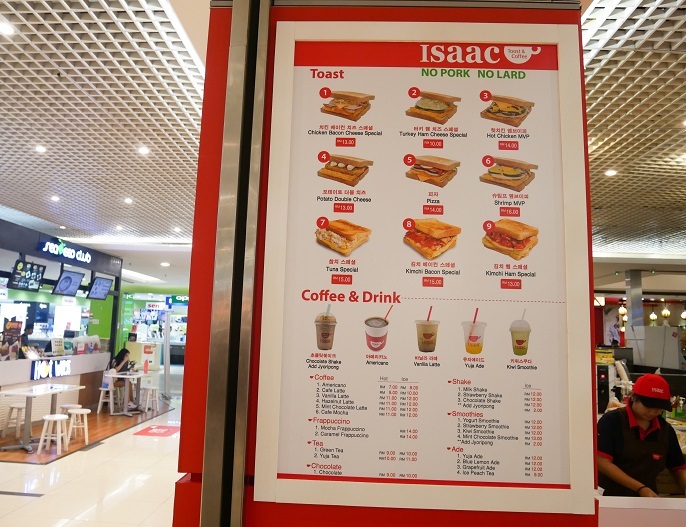 Unexpectedly, I had stumbled a chance to taste Isaac Toast in Malaysia on the last week. To my surprise, the first bite into the toast had changed my view about a toast! 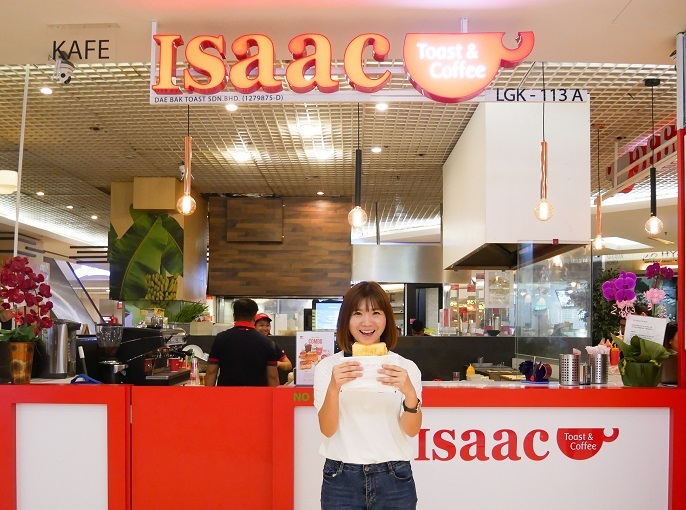 The third outlet of Isaac Toast & Coffee in Malaysia is located at 1 Utama Shopping Mall, after the first outlet at Gateaway@KLIA2, and the second outlet at Paradigm Mall, Johor Bharu. 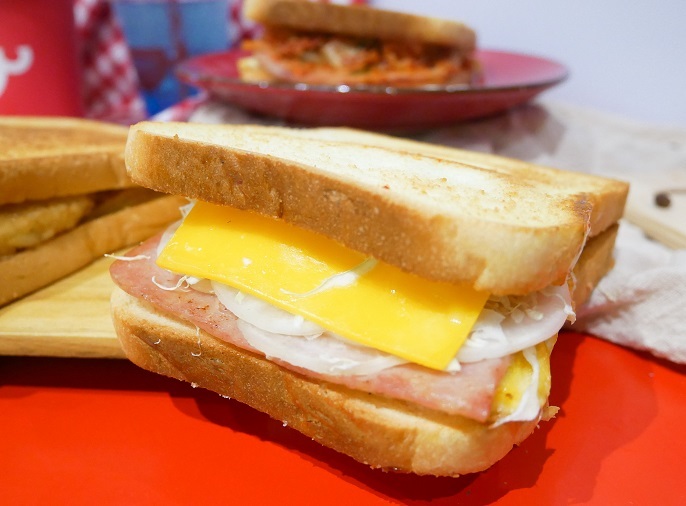 If you don't know about Isaac Toast, it is a very well-known popular Korean breakfast toast in Seoul since 1995, with over 800 stores across South Korea. Many Koreans like it and the queue is always long at one of the food stalls located at the tourist area in Myeong-Dong. I have read a lot of positive feedback about their toasts, so I was very excited and couldn't wait to try it for myself when I knew the toast is finally hitting the town! So, what is Issac Toast about? 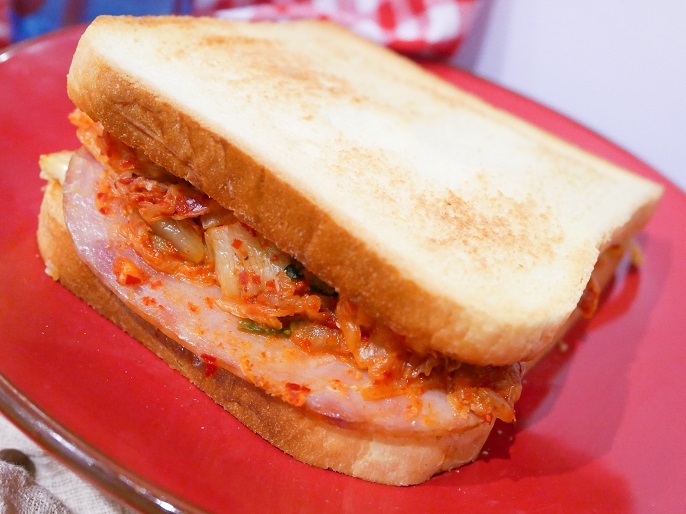 It's a toasted sandwich started out with 2 slices of bread fried over the hot plate lightly, and then stuffed with a variety of classic toppings such as Kimchi, Chicken Ham, Turkey Ham, Tuna, Potato, Shrimp etc, vegetables and different signature sauces. All kinds of recipes with different ingredients are really making the sandwiches sooooo tasty! Chicken Bacon Cheese Special @ RM13, a toast filled with an omelette slice, a slice of ham and cheese, then added the shredded cabbages in between two pieces of bread. The Kimchi Ham Special @ RM13 is the most unique one as it is stuffed with an omelette slice, a slice of ham and cheese, and lots of kimchi in between the breads. Kimchi Bacon Special @ RM15 made up of the similar ingredients like the Kimchi Ham Special. The only difference is the Kimchi Bacon is stuffed with bacon slices instead of sliced ham. Potato Double Cheese @ RM13 is another tempted to try. 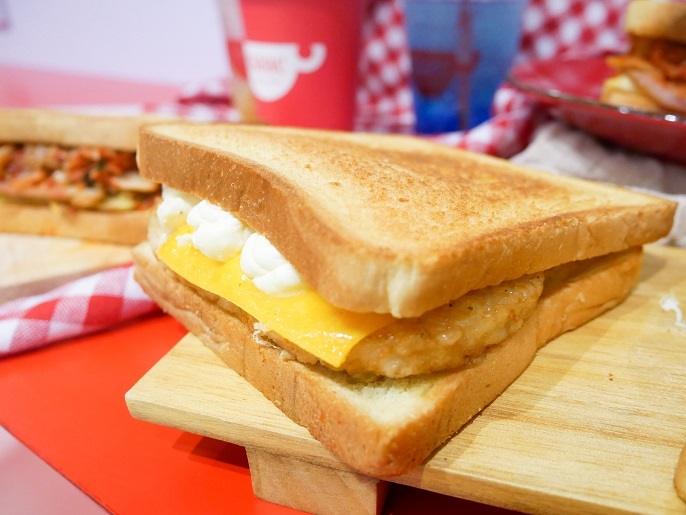 It is filled with an omelette, a fried hash brown, a slice of cheese, and then added some whipped cream on top of the other ingredients. 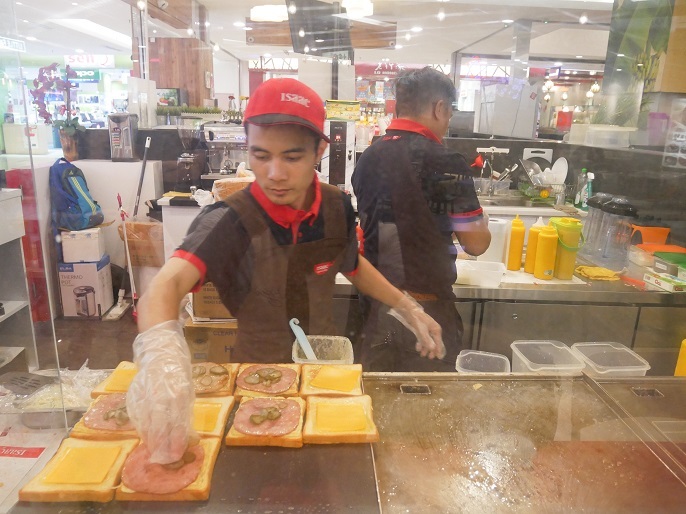 When you visit the stall, you will see all the toasts are freshly made on the spot, only after you made an order and pay at the cashier. 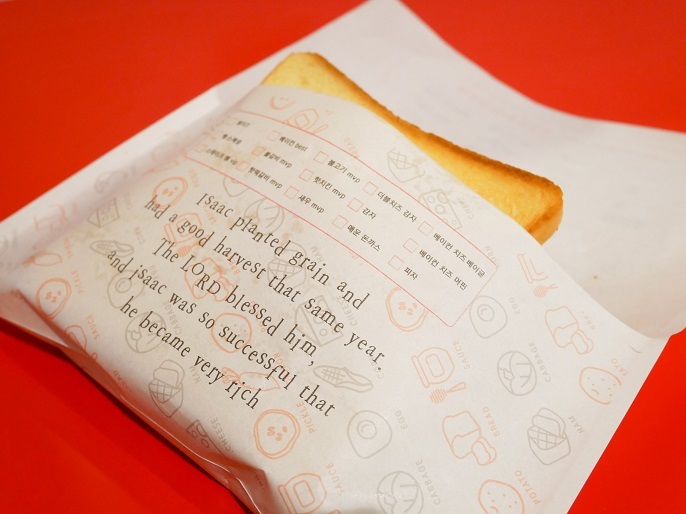 The toasts are served in hot and would be wrapped in a paper wrap after freshly made. 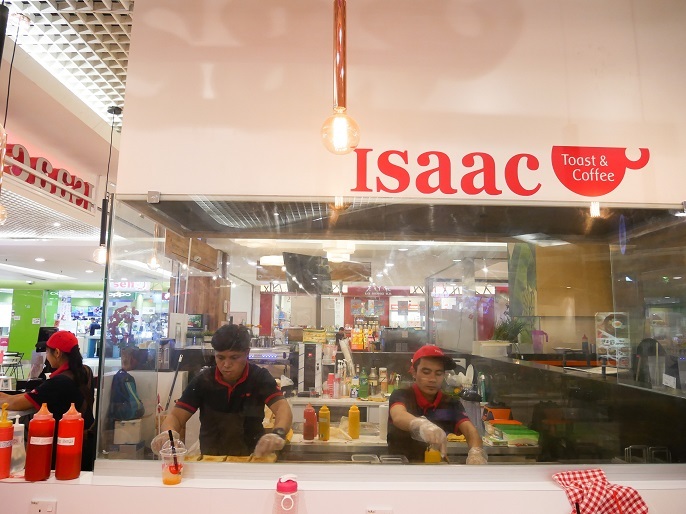 Isaac Toast is launching the Breakfast Set promotion only at the new 1 Utama outlet. The Breakfast Set consists of a Chicken Bacon Cheese Special and a complimentary Yuja Tea. The set is selling at RM10.00 and available daily from 730am to 10am. It's certainly an affordable and filling breakfast set to kick start your busy day! As for the rest of the days, Isaac Toast also comes out the Combo Sets for the toast lovers! 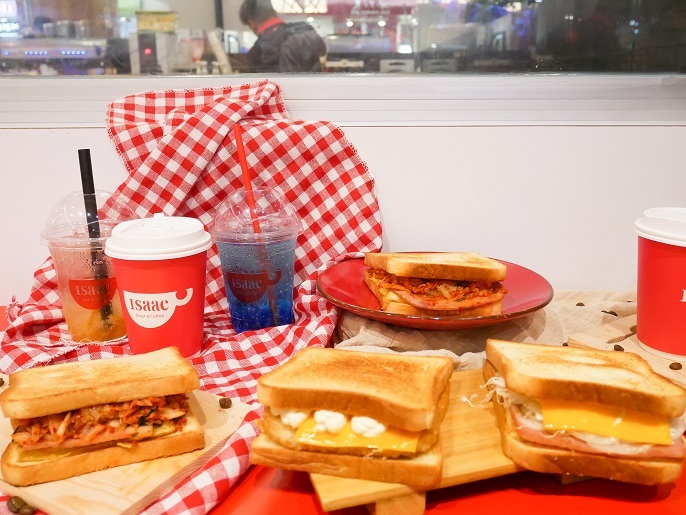 You get to create your own combo by picking one thirst quenching drink from coffee, ade or tea, and then one toast choosing from Potato Double Cheese Special, Kimchi Ham Special, Chicken Bacon Cheese Special, Kimchi Bacon Special or Tuna Special. 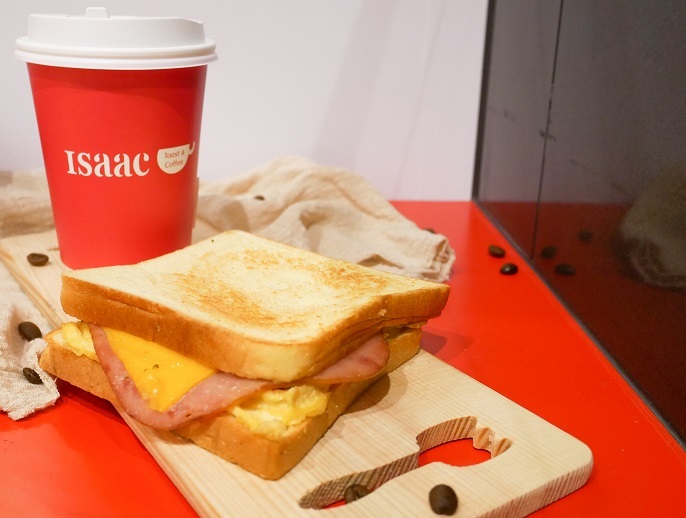 One combo set is selling at RM20 at all Isaac Toast & Coffee outlets, except Gateaway@KLIA2. 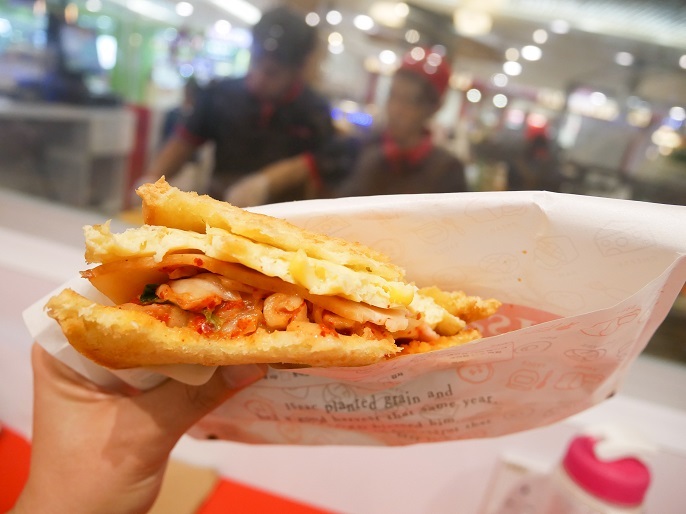 During my first visit, I tried the flavour of Kimchi Ham Special and Hot Chicken MVP. The breads were toasted a little with an incredibly soft texture. I can taste the sandwiches had a slightly sweet taste with their special sauce; it tasted a bit like honey or condensed milk, but it is surely not overly sweet. 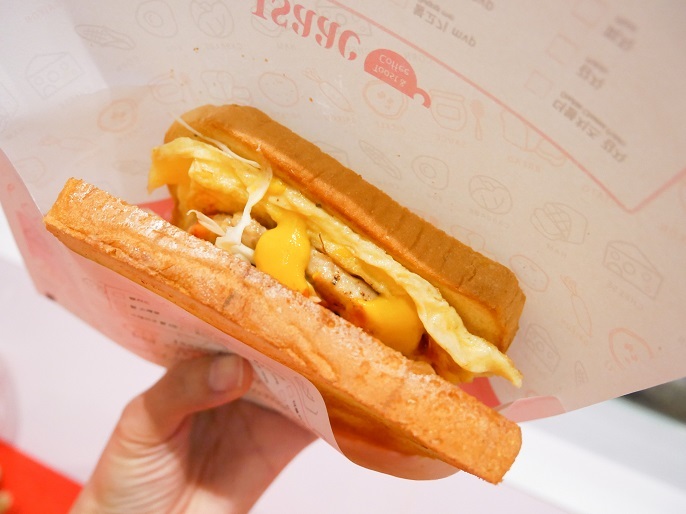 Then, all toasts are filled with a special omelette that stuffed with corns, that makes the toasts even sweeter. For the Hot Chicken MVP, the patty was nicely grilled, and the added shredded cabbages and few pieces of pickles are intensely crunchy and refreshing. 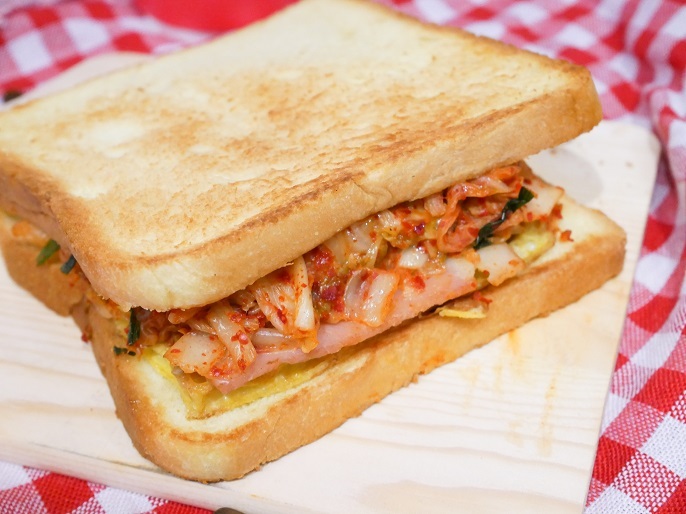 Kimchi Ham Special is a cool combo to eat; the kimchi slaw made the the whole thing spicy, flavourful and delicious. Really, upon the first bite, I'm loving the toasts straight away! 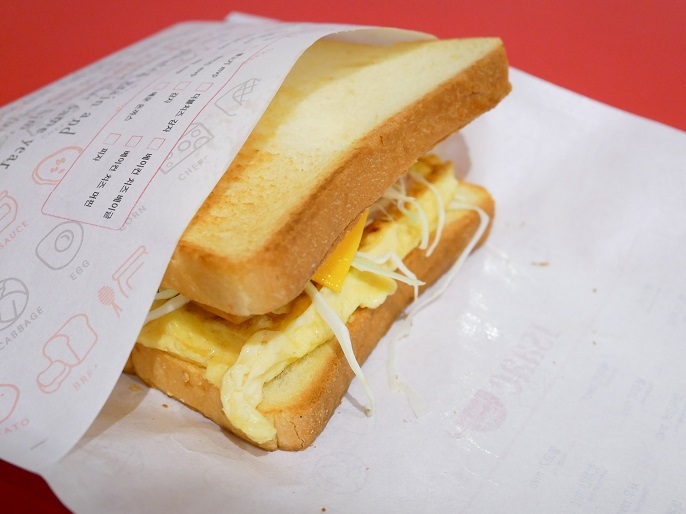 Though the toast may seems like a simple sandwich, it is really a good toast that worth to try out! 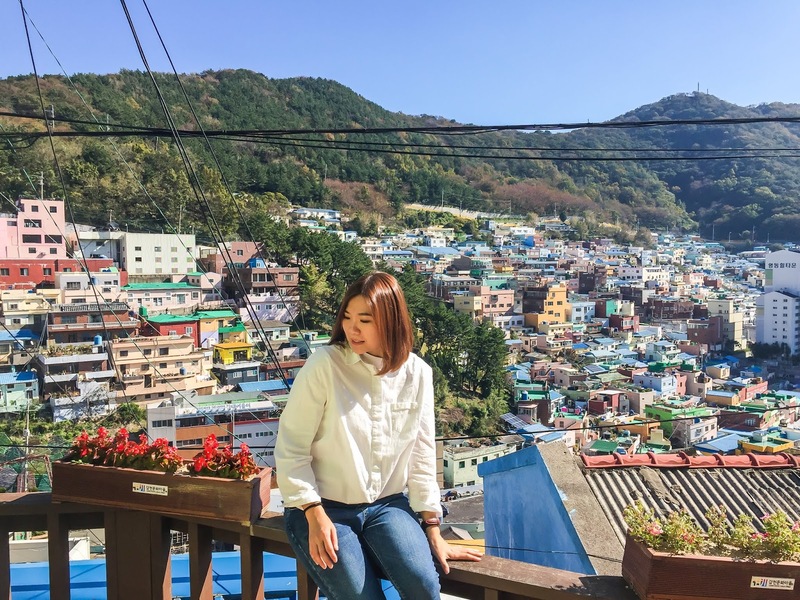 Now, I totally understand why my friend was so urge me to go try it out, and also why it is so popular in South Korea. 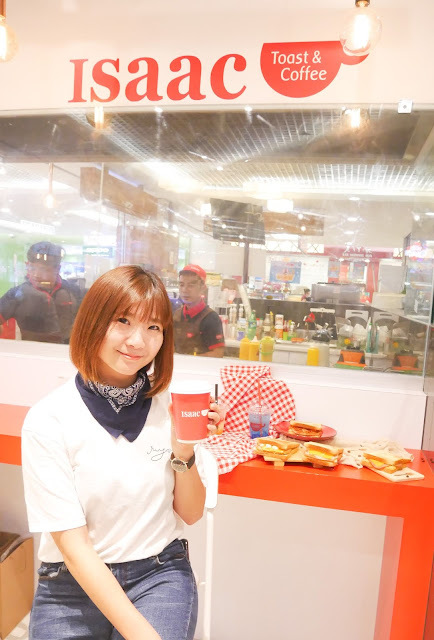 It's hard to describe how delicious the toasts are, but if you happen to visit 1 Utama Shopping mall, then be sure to give it a try!